Much has been written on this site about Bill Shankly and his footballing career. But what about the man behind the legend? The essential elements of Bill Shankly's remarkable persona can be traced back to his Glenbuck roots. His socialist political views, his personal fitness and toughness, and his love of American gangster movie stars. Wad fade wi' passin' years. Glenbuck lies 3 miles east of Muirkirk, higher into the hills. The first coal and ironstone was dug around 1790 and by the 1800s about 1000 people lived there, reaching the maximum of 1750 inhabitants. Nowadays, there is only an opencast working to recall the village. "No disrespect to Glenbuck, but you would have been as far away from civilization in Outer Mongolia. the winters were cold and bitter, with four months of snow, and there was very little in the village so you had to go on long treks to get anything. But we had a pair of shoes, maybe something to put on, maybe something to eat, though not always not enough to fill us, and we had our pride and our characters, who made their own world, the best a bad lot, the best of isolation. 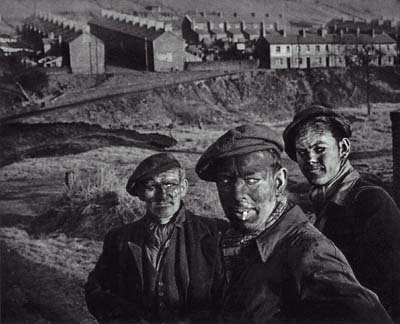 We listened to the wireless or read the papers, so we knew about Jarrow and what was happening to other miners. But we were cut off from the big cities, so we talked to each other and about each other. We had fun, jokes, laughs and exaggeration." The socialist beliefs were as much a part of him and the folk of Glenbuck as their Ayrshire accent. The sheer struggle of living and working in raw mining communities engendered a reliance of community members on each other. There was always someone who needed extra food or clothes, someone who could use a little extra money and you helped out wherever you could. After all, that someone was just as likely to be you next time round. Down in the mineshafts this ethos was even stronger. In an era where mine owners often gave scant regard to the safety of their workers, lives often depended on looking out for your workmates. Bill Shankly paints the picture of his upbringing in his autobography "Shankly" published in 1977. "I was born in a little coal-mining village called Glenbuck, about a mile from the Ayrshire-Lanarkshire border, where the Ayrshire road was white and the Lanarkshire road was red shingle. We were not far from the racecourses at Ayr, Lanark, Hamilton Park and Bogside. 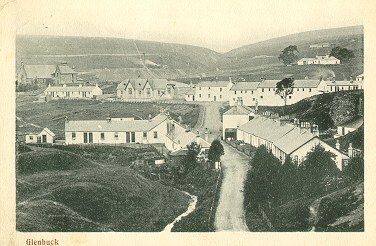 Ours was like many other mining villages in Scotland in 1913. By the time I was born the population had decreased to seven hundred, perhaps less. People would move to other villages, four or five miles away, where the mines were possibly better. I had four brothers, Alec or 'Sandy' as we called him, Jimmy, John and Bob, and five sisters, Netta, Elizabeth, Isobel, Barbara and Jean. I was the youngest boy and the second youngest in the family." "My mother's name was Barbara - Barbara Gray Blyth before she married. Her brother Robert played for Rangers and Portsmouth, where he became chairman, and her other brother, William, played for Preston and Carlisle, where he became a director. My mother was my greatest inspiration. First and foremost, she brought up ten children and they were all born at home which I think is a miracle. To bring up such a large family in our circumstances must have been a terribly hard job for her. She was always calm, never lost her temper and was so loyal to her family. Though my mother was proud of her family, she did not boast and always had time for others. And she would give away her last penny or her last stitch of clothing." "My father, John, was a postman for a part of his life, but for as long as I can remember him he was a high-class tailor of hand-made suits. He didn't smoke or drink. The only thing he did for relaxation was to go to the pictures. He loved the pictures. He was a fighting man. Not in the sense that he would go looking for trouble. No. But he was spirited. If you had said anything critical about Scotland or his family he would have probably have killed you! My father did not play football, except at a juvenile level, but he was an athlete, a quarter-miler." So Shanks clearly inherited his love of the movies from his father and he was a tee-totaller and fitness fanatic just like him. Not too mention, spirited. Oh, what fighting spirit! Shanks says his mother was his inspiration and he learnt from her to give of himself to other people. As a boy, Shankly had seen the men of the village go through the General Strike of 1926, a thoroughly just cause in his eyes, only to see them sold out by the politicians and the white collars who pulled the strings. The miners remained on strike a full seven months longer than anyone else and eventually were forced back through starvation to even worse conditions than they had suffered previously. He would grow up with a fervent mistrust of bosses and boardrooms that would often lead to friction in his life. His socialism took an idealistic, pure form. He didn't trust politicians, even the staunch Labour men who stood in his own constituency, as he blamed them almost as much as the mine owners for the conditions he and his family lived in. Shankly's attitude was such that he felt a strong bond to his fellow man and wanted to see their lot improved. A hero of Shankly's in this respect was the poet "Rabbie Burns", who Shankly recognised as an early socialist. He selected 'The Life of Robert Burns' by James Black as his book to take with him on Desert Island Discs. The philosophy he took into his footballing life was a microcosm of his political beliefs - a trust in teamwork and team spirit, of helping one another out for the greater good. "The socialism I believe in is not really politics. It is a way of living. It is humanity. I believe the only way to live and to be truly successful is by collective effort, with everyone working for each other, everyone helping each other, and everyone having a share of the rewards at the end of the day." 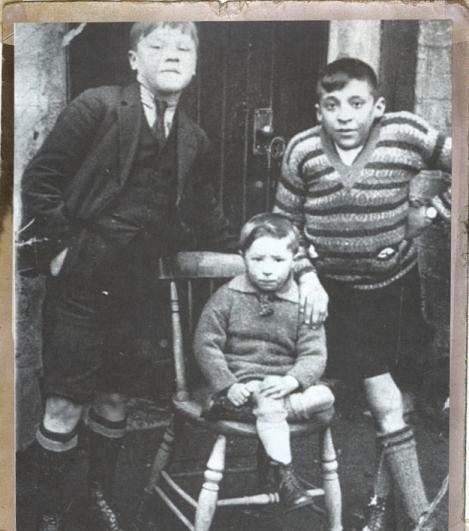 Shankly went to school until he was fourteen years of age. His favourite subject was geography and said he "always had a good memory and at school I was pretty sharp." When Shankly left school he went to work at the pit: "There were plenty of mines, into which you could walk down an incline, and plenty of pits, where you had to go down by cage. There was no unemployment in the village at that time. I went to a pit and spent the first six months working at the pit top. My wages would be no more than two shillings and sixpence a day. My job was to empty the trucks when they came up full of coal and send them back down the pit again and to sort out the stones from the coal on a conveyer-belt. "On Sunday you could make extra money emptying wagons of the fine coal we called dross, which was fed into about six big Lancashire boilers. You got sixpence a ton and each wagon contained maybe eight to ten tons. I've been in on a Sunday, just me and my shovel - as big as the wagon - and emptied two wagons, twenty tons, on my own. It was light stuff and nothing to us. "After about six months working at the pit top, a job that was active but not heavy, I went down to the pit bottom. The coal mines and pits were the first places to have electricity, before people had it in their houses, and the pit was like Piccadilly Circus. First I would shift full trucks and put them into the cages and then take out the empty trucks and run them along to where they were loaded. I did more running than lifting and at the end of an eight-hour shift I had probably run ten or twelve miles. This might have done me good - marathon-running! "Then I went into the back of the pit itself, where they were digging the coals and where they had the stables in which the ponies were kept. I felt sorry for the animals. When they were lowered down to the bottom of the pit, below the cage, it looked like cruelty, but it wasn't really. I've seen them in their stables, eating their straw. They could be there for months at a time. Then they took a break. They were blind then, but they recovered their sight. They used to pull a dozen of the trucks on the rails from the back end of the pit to the pit bottom. "At the back of the pit you realized what it was all about: the smell of damp, fungus all over the place, seams that had been worked out and had left big gaps, and the stench - not the best of air, though possibly better ventilated in mines and pits now. There was a ventilation system which diverted the air through channels with doors, canvas and all kinds of things. You were supposed to get air but I'm sure there were some places it did not reach. People got silicosis because they had no decent air to breathe. "You would be down there eight hours and you would have your grub to eat there and a tea can wrapped up in a big, thick newspaper to keep it warm for a couple of hours, perhaps even less. You had to drink your tea maybe an hour after you'd started, otherwise it would probably be cold. You had to eat where you were working and there was no place to wash your hands. It was really primitive. The longest break you would get for anything would be half an hour, but if a man was digging coal on piece-work he could stop to eat anytime. If there were six men doing a job, three would take a break while three worked. "We would see a lot of rats in a mine, though not as many in a pit. In a mine the rats could go down the incline. But they did not frighten the men. Not at all. I have seen rats sitting on men's laps eating. "I went to the coal-face, but I didn't actually dig any coal. I was too young. I saw the firing of shots to bring down the coal - men boring the big holes, stabbing them up with powder or gelignite and then... whoof! "And men putting up props before they could go in and waiting for the smoke to clear. A lot of men went in before the smoke had cleared, and they would get severe headaches. "We were filthy most of the time and never really clean. It was unbelievable how we survived. You could not clean all the parts of your body properly. Going home to wash in a tub was the biggest thing. The first time I was in a bath was when I was fifteen." Shankly worked two years before getting unemployed when the pits closed. He was on the dole for a few months before Carlisle United signed him in 1932. "After about two years in the pit I was unemployed. The old, old story. The pits closed. I signed on the dole." "We were at home to Scunthorpe reserves and the ball went in to the stands. Shanks went to take the throw and he started talking to the crowd. He was having a great time taking questions and the referee had to go over and give him a telling off. At half-time he was fuming. 'I was just telling 'em about the first team game away last week, trying to get a bit of atmosphere.'"